Love is a value judgment. For example, the expression “I love strawberry ice cream” indicates a strong preference or affinity for a particular food. Similarly, antonyms of love—notions such as hate or dislike—represent negative valuations. Value judgments are based on certain conditions or criteria. However, we are not always privy to the nature of these conditions. In many cases, we make judgments without a full understanding of their attendant criteria. While it may only take one taste for us to discover our love of strawberry ice cream, it’s hard to determine exactly how or why we arrived at this conclusion. If love is a value judgment and value judgments are based on specific conditions, then the notion of “unconditional love” almost seems oxymoronic. Put differently, can a love that is without conditions rightly be described as love? Perhaps unconditional love is an entirely different sort of thing. Namely, unconditional love seems more like a principle or a type of subjective lens than an assessment of value. As others have noted, it involves a conscious decision to approach another person with a specific type of attitude or mindset. In many respects, this attitude functions to override or temper any negative feelings that may arise regarding our beloved. What remains in consciousness, then, is primarily positive—a sense of love and appreciation for one’s mate. Moreover, because unconditional love is a conscious choice it is thought to be maintainable under nearly any circumstance. One potential benefit of unconditional love is its steadfastness. If love is a pleasurable feeling to both give and receive, then why not experience it all the time? 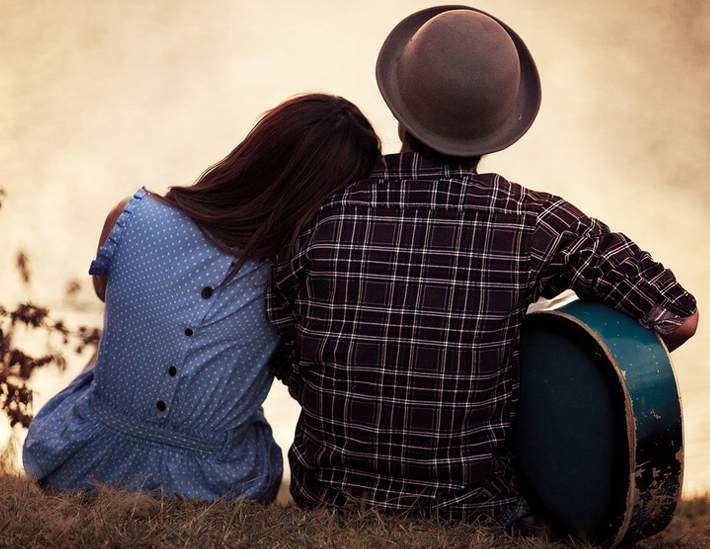 The reliability of unconditional love may also make it easier for couples to stay together during difficult periods, including times when feelings of passion or infatuation have waned. Indeed, unconditional love is often heralded as a higher or more mature form of love because of its ability to weather the tests of time. Unconditional love may prove particularly appealing for those who prefer to be guided by principles rather than by feelings or emotions. 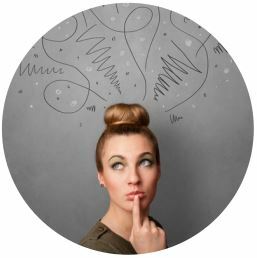 Such individuals (often thinking types) may have limited access to their feelings and thus look to cognitive strategies to govern their attitudes and behavior. Perceiving (P) personality types also seem more naturally wired for unconditional love than judging (J) types. Instead of trying to change outer circumstances (or one’s partner) as J types are wont to do, perceivers’ natural inclination is self-adaptation. This includes finding ways of rethinking difficult situations so as to render them more harmonious or compatible with the self. Similarly, unconditional love can be viewed as a form of self-adaptation, a declaration that, regardless of circumstance, the necessary self-adjustments will be made to maintain a loving attitude toward one’s partner. Both perceivers and adherents to unconditional love are inclined to explore ways of modifying their inner attitude before attempting to change their partners or their external circumstances. As hinted at earlier, one could argue that because unconditional love is not really a value judgment but rather a means of eschewing judgment (especially negative ones), it is a self-contradictory concept. For this and other reasons, feeling (F) and judging types in particular may take issue with its veneration over and against other types of love. 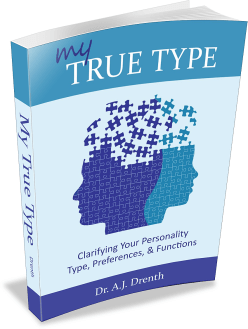 For F types (especially F dominant types, e.g., INFP), feelings are the most important and valid forms of judgment. Feelers may therefore question whether unconditional love, if primarily a decision or principle, is really love at all. They may also wonder if and how principled love can translate into passionate love. How can there be passion and romance if the love is not rooted in strong feelings? Further, feelers may worry that, at bottom, unconditional love is impersonal and undiscriminating. If it is in fact a love without conditions, then what is it that distinguishes or makes one special in the eyes of one’s partner? What is to keep my partner from loving others in the same way? From this perspective, unconditional love may actually strike F types as less genuine or trustworthy than passionate love. Instead of employing the P strategy of self-adaptation, J types direct their recalibrating efforts outwardly; rather than changing themselves, they strive to change what is happening externally or interpersonally. Rest assured, if J types are unhappy about something, they will let you know. Judgers are apt to see the self-adaptational approach of unconditional love as more of a cop-out than a real solution to relational problems. Indeed, it is probably a J type who established the concept and attendant critique of codependency. The codependent individual is one who, instead of directly addressing relational problems, continuously finds ways to accept or tolerate the dysfunction. In like fashion, unconditional love might be viewed as an attempt to ignore or sidestep relational problems. From the J perspective, a better method might entail the open expression of grievances as part of an effort to work toward joint solutions. The optimal method then is considered to be interpersonal rather than intrapersonal, especially for those using the Extraverted Feeling (Fe) function (i.e., FJ types). One might also argue that unconditional love does little to foster relational growth and development. After all, if both partners are merely employing adaptation-based strategies (e.g., learning to “better tolerate” each other), then how is the relationship actually deepening? A perceiving type might counter this by suggesting that unconditional love not only increases tolerance, but also love and appreciation for one’s partner. She might also maintain that learning to love unconditionally makes one a better person and in turn a better partner. Thus, even if grievances aren’t always hashed out in an interpersonal forum both partners can still be growing as individuals and bringing more happiness to the relational table. Finally, the problem of passion is a concern for both thinkers and feelers. As discussed in my book, The INTP, it’s not that T types can’t experience passion. In fact, many thinkers are just as susceptible to strong feelings of infatuation as F types. However thinkers do seem to have a harder time maintaining passionate feelings in a long-term, monogamous relationship. This leaves them with three primary options: 1) avoid commitment, 2) downplay the importance of passion in the relationship, or 3) explore ways of cultivating passion. Of these, option 3 is decidedly the most difficult and only the rare thinker will seriously pursue it for the long haul. Option 1 is obviously employed in many different forms on a regular basis. Lastly, those who select Option 2 commonly adopt a more principled approach to their relationships (e.g., “Love is a decision”), which may include embracing the practice of unconditional love. In light of the above, we might conclude that unconditional love is unlikely to be the panacea it is sometimes made out to be, especially for certain personality types. There is an element of unconditional love that can seem indifferent and impersonal, a fact which may be unsettling to F types. Even thinkers seeking more intense, novel, or interesting romances may struggle with the ostensibly dispassionate nature of unconditional love. With that said, we must remember that life is not an either-or but a holistic enterprise. Thus, a “living solution,” as Jung might call it, will likely involve a dance between conditional and unconditional types of love. While the best love may include plenty of grace and generosity, it cannot be free of expectations or responsibilities. Moreover, when it comes to relational difficulties, some issues may be successfully resolved privately by the individual, whereas others are best handled on an interpersonal basis. As is the case with so many things, it appears that the nuanced middle—the place where thinking unites with feeling and judging with perceiving—is where real love is most apt to thrive. You define love as a pleasurable feeling. To my mind truly loving someone means that you care about that person and want what is best for them. Loving them unconditionally doesn’t mean that you blind yourself to their less desirable qualities or the mistakes they make in order to prolong a feeling of pleasure within yourself. It is about continuing to care about that person regardless of their less desirable qualities. Love is not the same thing as like nor is it to do with desire or passion. What you appear to be defining as love is more to do with the feeling of being ‘in love’. Think about this, do you feel passion or desire toward your children or your parents? No, you don’t but you still love them. You still love your children when they are naughty or your parents when they nag you. This is unconditional love. This is the what you also feel for your partner after the infatuation stage passes. It is still a feeling, not an emotionless cognitive state as you seem to think it is. Unconditional love is about tolerence but that does not mean turning a blind eye to relational problems. It is not about shielding yourself or the other person from hurt and to say it is dispassionate suggests a misunderstanding of what it is. Well that’s my view anyway. Thanks so much for you comment Cassi. I agree with you that emotions can and do play a role in unconditional love. At minimum, it can be difficult to disentangle the “love as a decision” and “love as a feeling” elements within the holistic context of love. It largely comes down to how literally we take the notion of “unconditional” when having these discussions. I’m an INTJ myself and I do share your opinion on love and emotions in general. They are not driven by reason (Fi is an independent, intrapersonal function. So if we (INTJs) do love, we just feel it intensely within ourselves). We can however make the decision to walk away from a “bad” relationship (Te) while being even still in love (Fi) bc it’s the right thing to do. This does not mean that the feelings are gone or are/were not genuine. Since INTJs are aware of their feelings and will know for sure if they do or how much they are in love, they will put their energy/loyalty/commitment into making it work, not necessarily changing their partners, also working on themselves. I see no point in reframing the lack of love as unconditional love. Why remain in an unloving relationship? True love remains. Time changes passion into complicity and warmth. There is only one type of love in my opinion. You either feel it or not. Very good treatise on love, thank you. I’m a little confused by the notion of unconditional love being a conscious attitude. In my experience, such a state is neither by choice nor decision. When I find myself in love, I find my desires blurring with those of the person I’m in love with. Whatever is wanted is what I would want (for the person) as well. In other words, I don’t need to be the one fulfilling that person’s needs and desires as long as they’re being fulfilled. If I sense they’re not, then, as you’d written, I find myself adapting to accommodate however I can. I don’t know what kind of love this would qualify as or how healthy it ultimately is. In my experience, it’s not always been well received. As an INFP, I can’t seem to abide conflict and as an Enneagram Type 9, I’m stubbornly attached to the principle that no situation should ever need to devolve into conflict — most especially with someone I love. Thank you; I enjoyed this article! Having contemplated this topic before, , I appreciate how you have put this abstract concept into words. There just isn’t enough words in the English language to articulate the meanings of love. You may find this article interesting on Wikipedia: Color Wheel theory of love. It expands on the definitions and types of love. This is one of the best articles I’ve read on the subject of unconditional love. A round of applause for A.J. Drenth! It really makes sense, and is so understandable. How very helpful for me at this time in my life. All I can say is, bravo! “Love is a value judgment” as an INTP female with dysfunctional parents I’ve been saying that since I was 10 years old, now 32 years and a dozen relationships later I couldn’t agree with the article more. Additionally, claiming to have met your “soulmate” is a value judgement that I find highly revealing and quietly amusing. I’m bookmarking this article, and may use it to sound out any prospective partners view on the whole schbang (poor buggers). Thanks! If love is 100% conditional on both sides the result is clear: violation of any of the conditions leads to the destruction of love/relationship. If both sides are %100 unconditionally in love, in theory of course, there is not going to be any violation, therefore the relationship is resilient. If only one side is %100 unconditional, that side will experience significant hurt over time. The other cases are what we see in the society. My conclusion is that, the more BOTH partners move towards unconditional love the more they will benefit. Thank you J! That is the most logical, succinctly put explanation of what works!